The Friends of the Salmon River continue to work to safeguard a river system they say is healthy, prospering, and full of natural beauty. This Saturday, they will invite others interested in their pursuit to join them at the Roblin fire hall at 1 p.m. for their annual general meeting and a discussion on biodiversity. Dr. David Galbraith the head of science at the Royal Botanical Gardens (RBC) will present “The Cootes to Escarpment EcoPark System: Profile of an Urban Conservation Alliance in Ontario.” He’ll also apply lessons learned in collaboration and ecosystem change at the Hamilton Harbour watershed to help protect the Salmon River. Hamilton is one of the richest areas in Canada for biodiversity and the Cootes Paradise Marsh, which is part of the RBC serves as a spawning ground for half the fish in the western half of Lake Ontario. The RBC nature sanctuaries include sections of the Niagara Escarpment, a UNESCO World Biosphere Reserve. The Cootes to Escarpment EcoPark system, formed in 2013, includes over 2,00 hectares owned by nine different agencies.In contrast, the Salmon River Watershed is 92,100 hectares, of which two-thirds is forest. 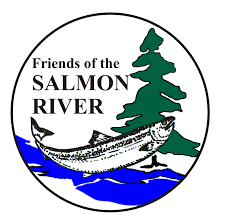 For more information, please visit www.friendsofsalmonriver.ca.